The response to the Mega Blood Donation Camp held on 22nd April 2018 was overwhelming in the true sense of the word. 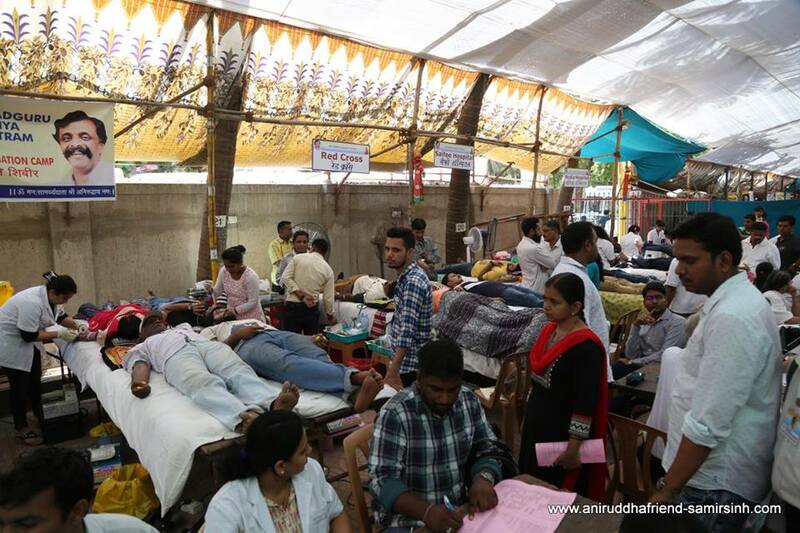 A total of 5838 units of blood were collected in a single day at Mumbai alone. The camp which was started in the year 1999 with vision and inspiration of Dr. Aniruddha Joshi (Sadguru Bapu) has gained in leaps and bounds over the years and has achieved many milestones during the last couple of years. Facilitating societal growth and progress is also one form of service towards God. 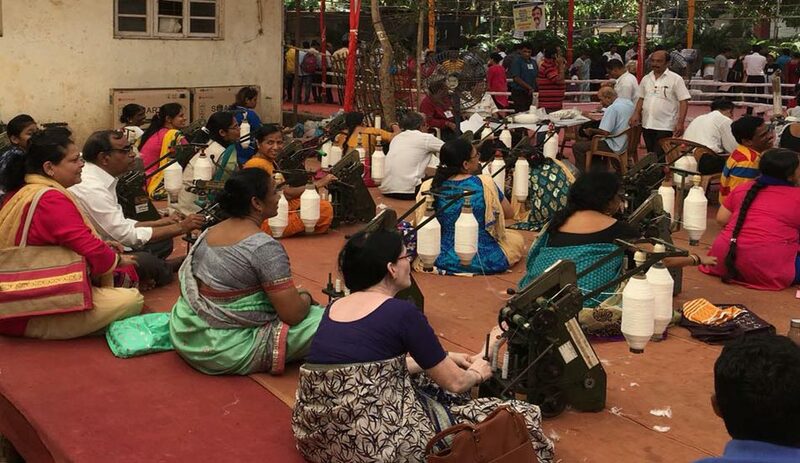 The Charkha camp organised at New English School, Bandra was an effort in this direction and this year, the camp witnessed 1178 Shraddhavans who participated in this mega event and contributed significantly towards this noble cause. This issue of the Newsletter brings us the statistical data pertaining to the current year’s camps of both the events. On the 22nd of April, Shree Aniruddha Upasana Foundation and Aniruddha’s Academy of Disaster Management along with its sister organisations, Dilasa Medical Trust & Rehabilitation Centre, etc. successfully organised the 19th Mega Blood Donation Camp. The camp happens every year in the month of April. 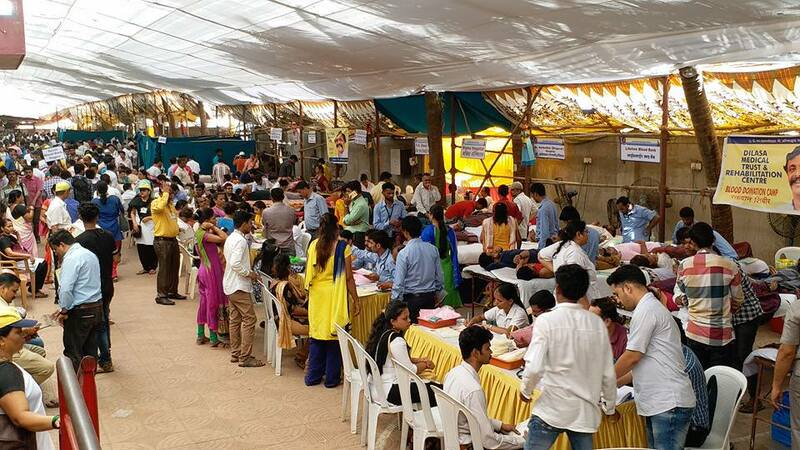 This Mega-Event has tremendously grown over the years and has garnered blood donors at an increasing rate from the ever-expanding family of the Shraddhavan friends of Dr. Aniruddha Dhairyadhar Joshi (fondly known as Sadguru Aniruddha Bapu). This blood donation camp was initiated by Dr. Joshi himself, in the year 1999 to encourage people to donate blood. The purpose of organising this camp during the summers is the dearth of blood during this time period. 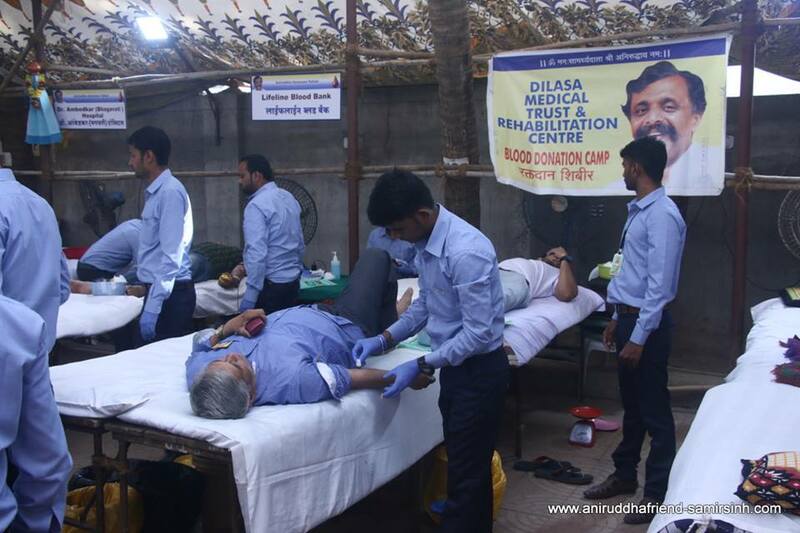 The mega-camp thus helps the blood banks to overcome the scarcity of blood. What started off with participation of 154 donors in the first year has grown rapidly across the state of Maharashtra. In Mumbai alone, this year, we could collect 5,838 units of blood at the Mega Blood Donation Camp held at Shree Harigurugram. We also collected 2,932 blood units in other locations across the state. The total collection of 39 locations across Maharashtra this time was 8770 units. 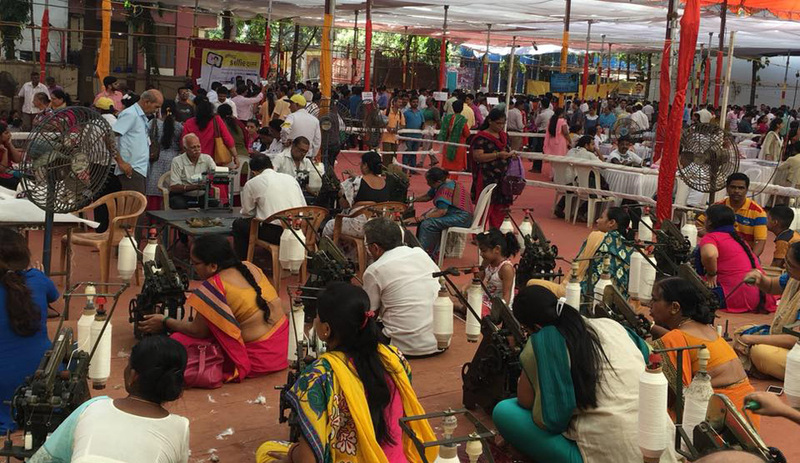 A ‘Mega Charkha Camp’ was organised during 23rd April to 29th April, at New English School, Bandra This camp is part of the ‘Charkha Yojana’, which again was initiated by Sadguru Bapu under his 13 Point Programme. The cloth produced after spinning Charkha is used to make blankets and clothes, which are then distributed in the rural areas throughout the year. 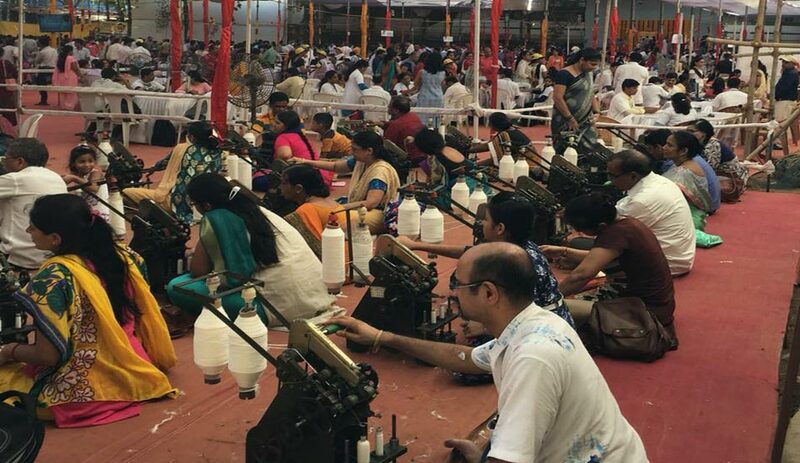 The number of our Shraddhavan friends who attended the camp this year was 1178, the number of Charkhas in operation was 70, and the number of Ladis (Hanks) submitted by the participating Shraddhavans were 2028. We are extremely glad and proud to have our ever-increasing family of Shraddhavan friends join us every year for these camps. • 24 Shraddhavans participated in the course conducted by Lodha Heaven Upasana Kendra, Dombivali East during the period April 2, 2018, to April 8, 2018. 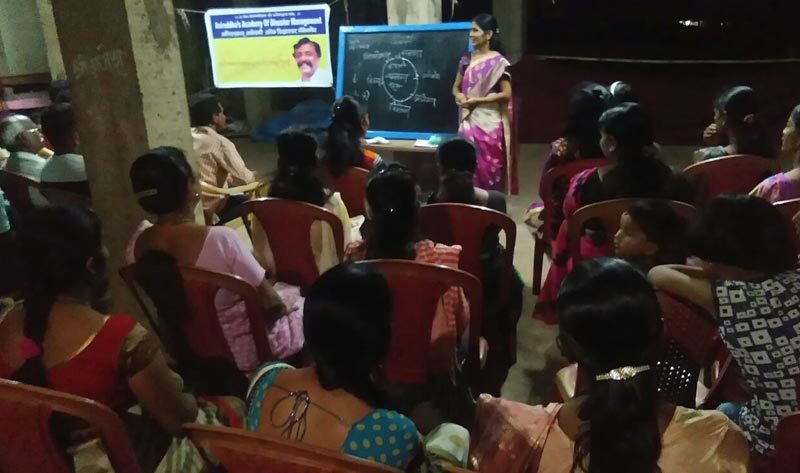 • 21 Shraddhavans participated in the course conducted by Nagaon Upasana Kendra, Sangli during the period April 9, 2018, to April 15, 2018. 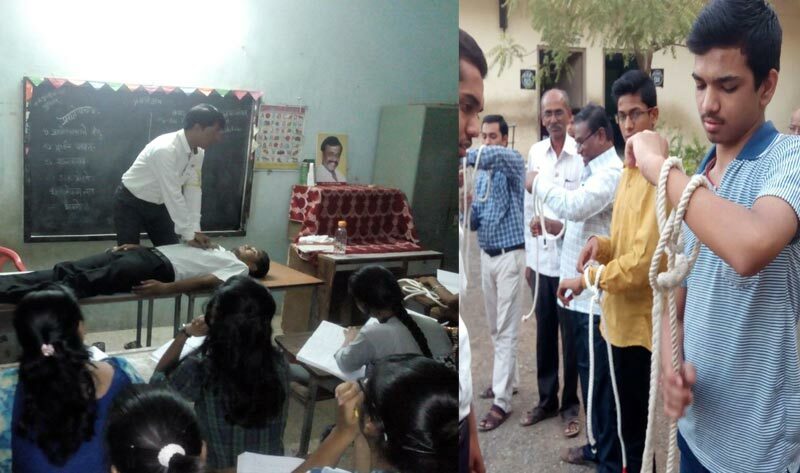 • 28 Shraddhavans participated in the course conducted by Thergaon Upasana Kendra, Pune at R.G. Barne High School, Thergaon, Pune during the period April 9, 2018, to April 15, 2018. 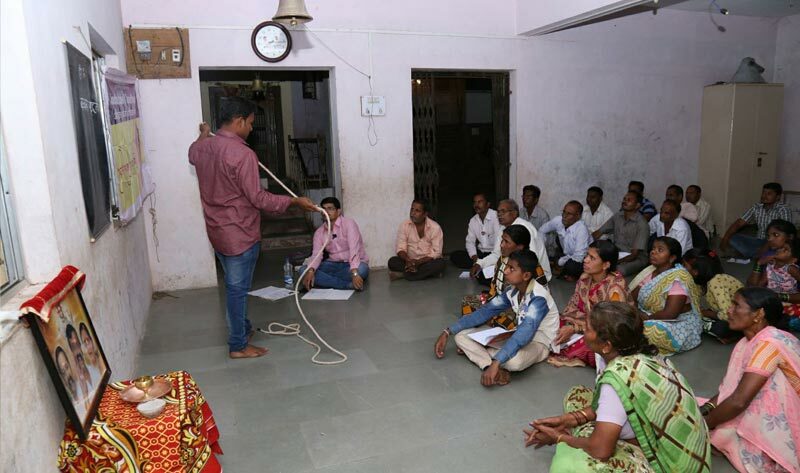 • 27 Shraddhavans participated in the course conducted by Lotemal Upasana Kendra, Khed, Ratnagiri during the period April 16, 2018, to April 22, 2018. • 13 Shraddhavans participated in the course conducted at the AADM Office, Dadar during the period April 23, 2018, to April 29, 2018. 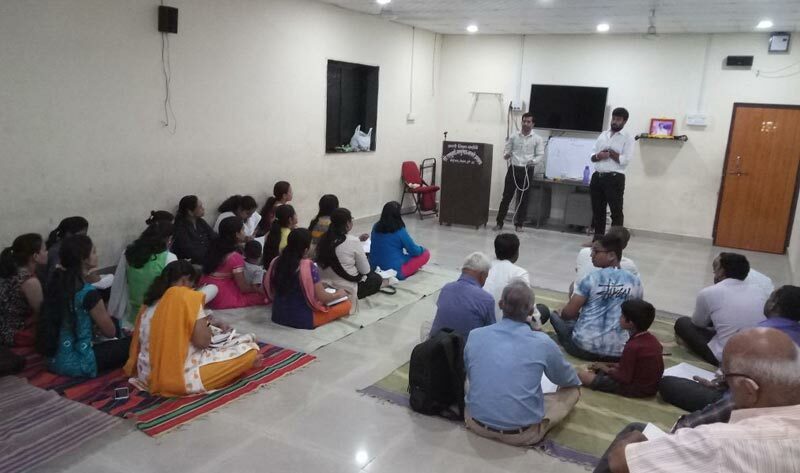 • 18 Shraddhavans participated in the course conducted by Gogatewadi Goregaon East Upasana Kendra at Bal Shikshan Vidya Mandir, Pandurang Wadi, Road No 2, Goregaon (East), Mumbai during the period April 23, 2018, to April 29, 2018. • 46 Shraddhavans participated in the course conducted by Siddhivinayak Colony Upasana Kendra, Jalgaon at Balmohan Marathi School, Pimprala, Jalgaon during the period April 23, 2018, to April 29, 2018. 24 Sampark Sevaks from 19 Upasana Kendras of Navi Mumbai Zone along with 4 Organising Members, 3 Steering Committee Members, 2 Action Committee Members and 4 Shree Guru Sapta Sangh Sevaks participated in this Programme. AADM volunteers provided traffic and crowd management support to the local authorities at the following public events during the month of April 2018. 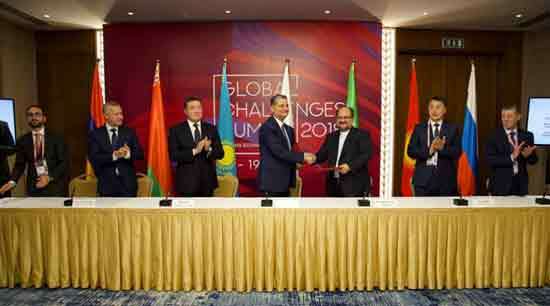 This seva was offered in response to requests received from the local authorities organizing these major events as well as local Police departments. At Shree Ganapati Mandir, Siddhatek 12 AADM Volunteers offered seva on April 3, 2018 on the auspicious occasion of Angarki Chaturthi. 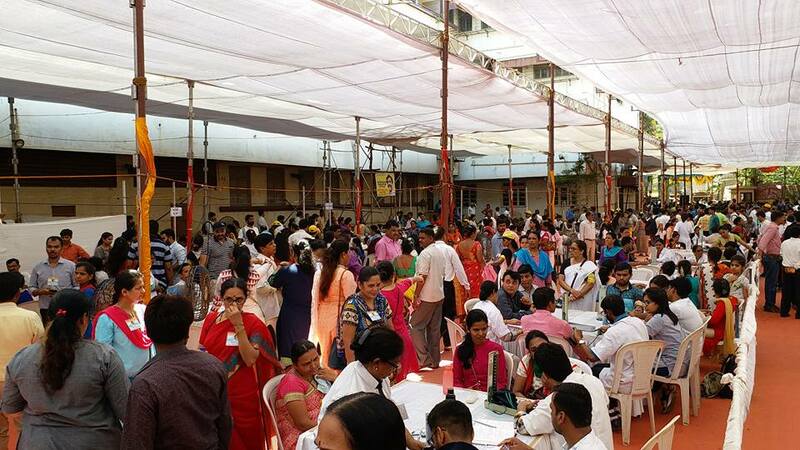 At Shree Siddhivinayak Mandir, Titwala- 153 AADM Volunteers offered seva on April 2 and April 3, 2018 on the auspicious occasion of Angarki Chaturthi. 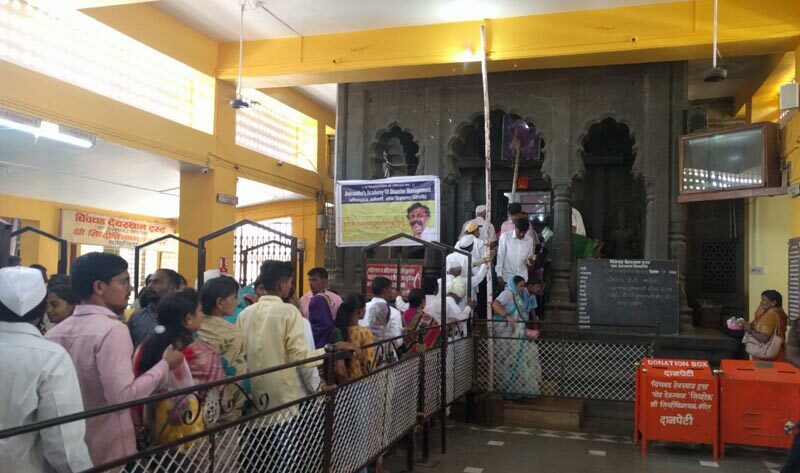 At Shreedev Mandir, Ganpatipule – 72 AADM Volunteers from Ratnagiri and 12 nearby Upasana Kendras offered seva on April 3, 2018 on the auspicious occasion of Angarki Chaturthi. 36 AADM Volunteers offered seva in Jalna on April 18, 2018 on the auspicious occasion of Bhagwan Shree Parshuram Jayanti. 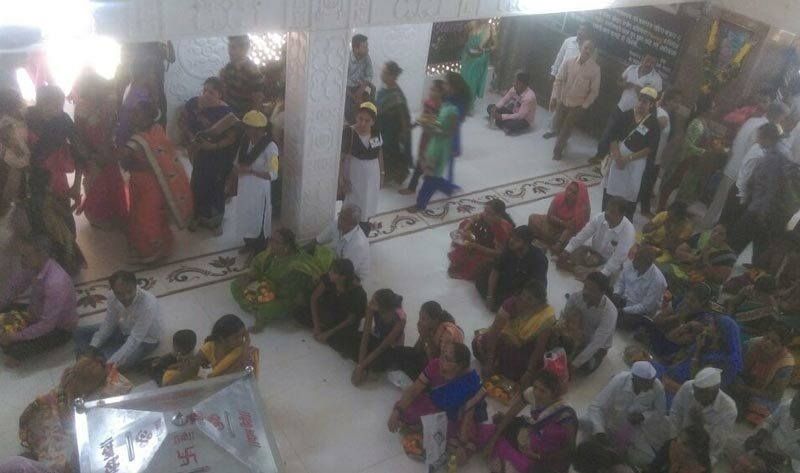 Thousands of devotees who attended the festivities at these temples, respective Trustees organizing these events and the local Police authorities highly appreciated the disciplined and professional services rendered by our well trained AADM Volunteers. 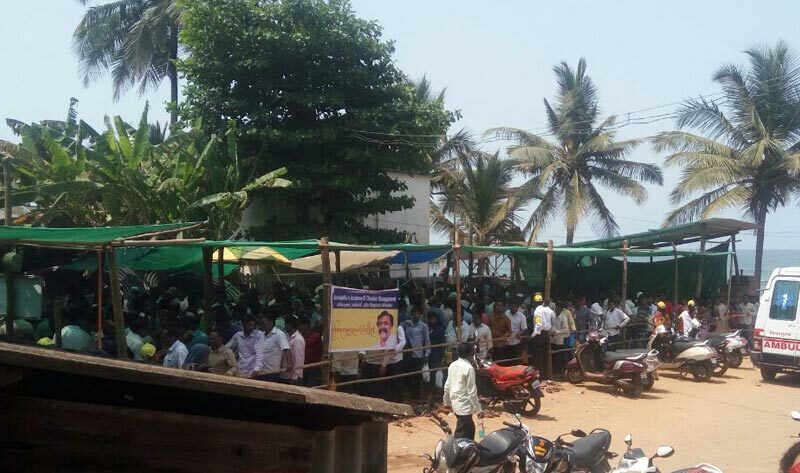 A word about the good work being carried out by the AADM Volunteers in the area of Vermiculture is spreading as can be seen from new requests being received by our Volunteers for conducting more demos. 1. Green Fields Rock End CHS, Jogeshwari East, Mumbai learning from the neighbouring housing societies requested AADM to conduct a workshop on conversion of wet waste to compost. Thirty Eight members of the Society attended the demo on April 8, 2018 and now the Society members are planning to start Vermiculture on a larger scale very soon. 2. Vrushali Shilp CHS, New Link Road, Shimpoli, Chikuwadi, Borivali West, Mumbai, based on reference from Clover Crow CHS, Chikuwadi, Borivali West requested for a Vermiculture demo. 12 members from the society attended the demo on April 21, 2018. 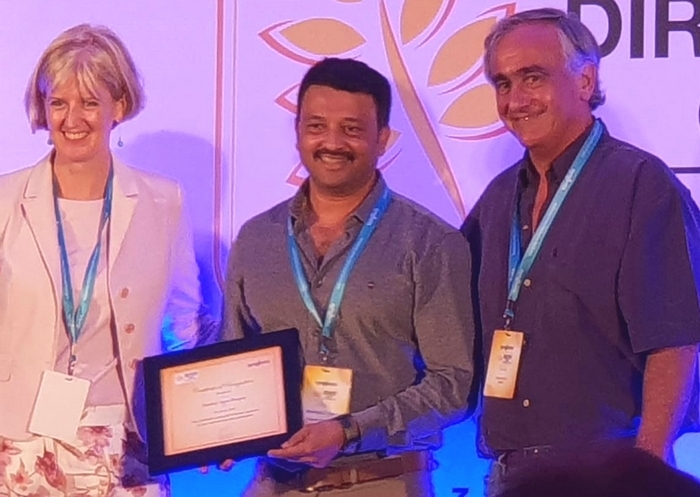 In the survey conducted by Syngenta India Limited, Nandai Agro Shoppe stood 1st in Maharashtra and 2nd in India for sale of seeds, fertilisers and pesticides. Congratulations to Mohindersinh (Raja) Bamne, Proprietor of Nandai Agro Shoppe.